Who won the Week 4 on the girls side? 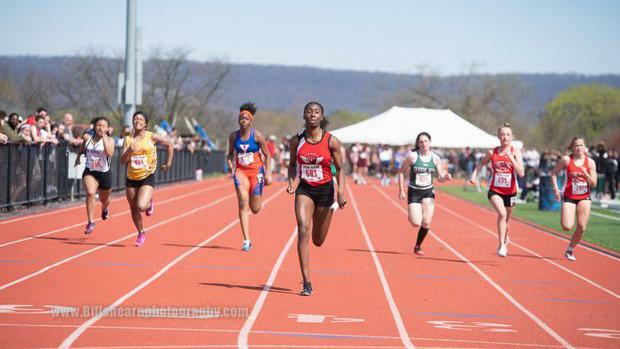 Saucon Valley's Talitha Diggs (above) had another big week that included an 11.81 in the 100 meters, where she took the win at Pan-Ram (she also won the 300 meter hurdles there). Many others enjoyed some good weather to big performances.